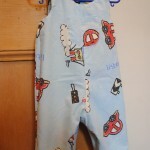 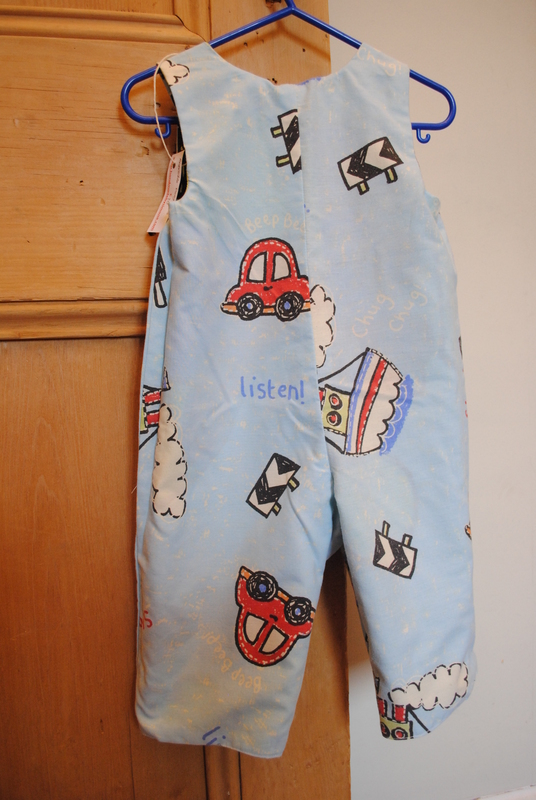 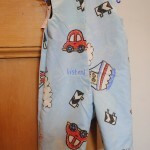 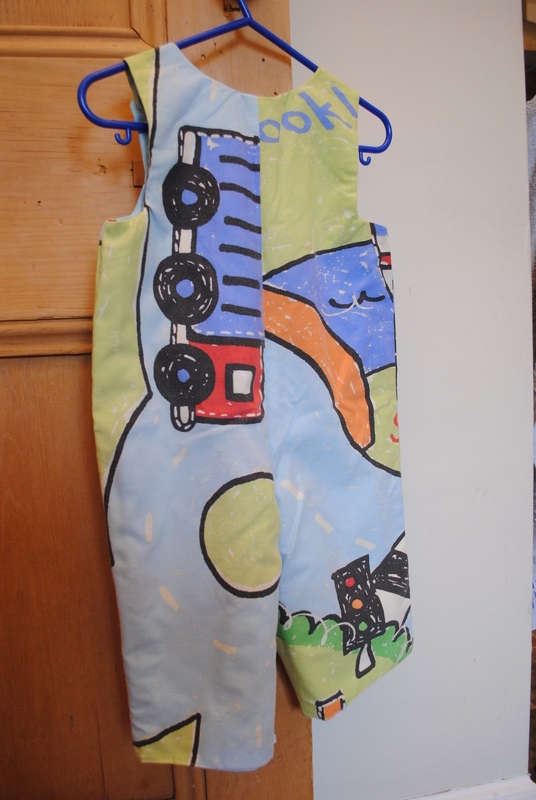 These groovy overalls are made from 100% upcycled cotton. 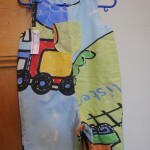 They are reversible so let your kids get dirty twice! One side features bright and colours traffic pictures, the reverse features boats and cars. 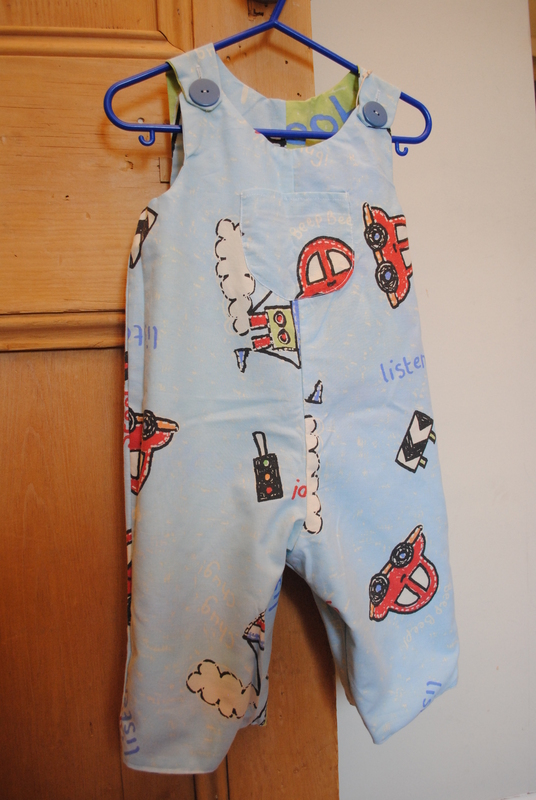 Both sides have a chest pocket and two fastening buttons. 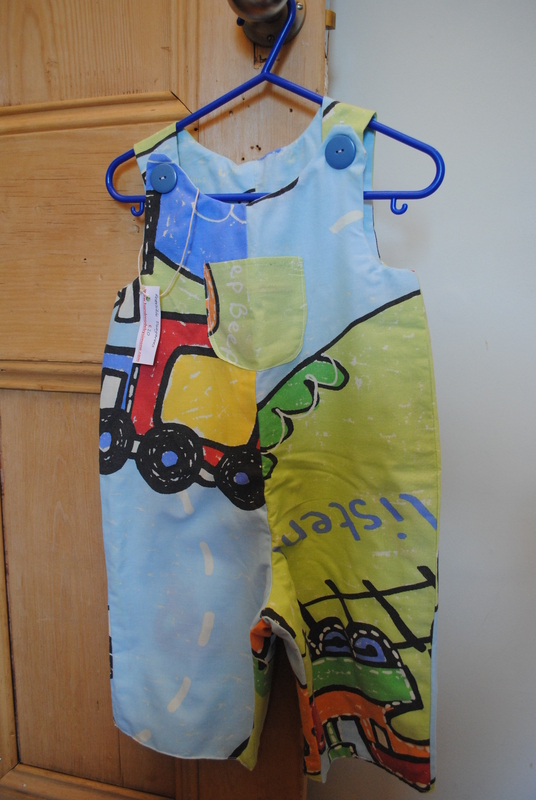 To fit toddlers up to approximately 2 years old. 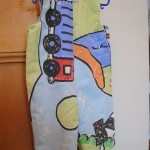 Machine washable at 30C or less. 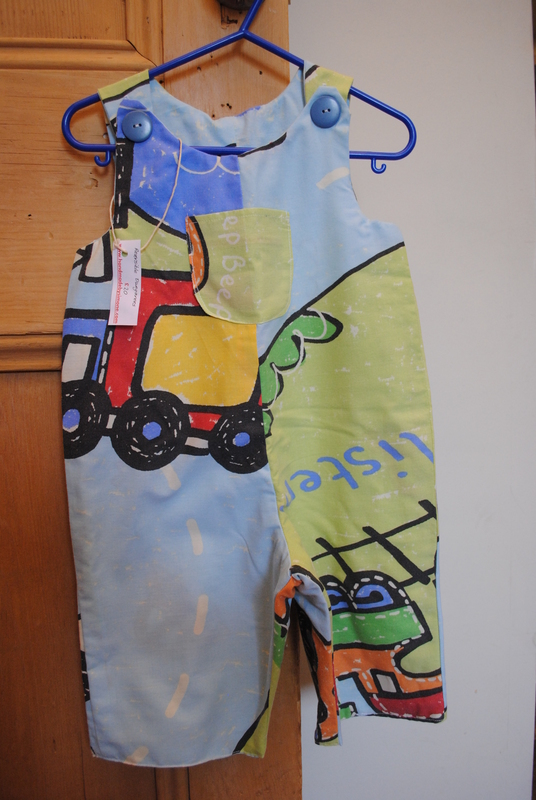 As these are recycled cotton, colours won’t run.